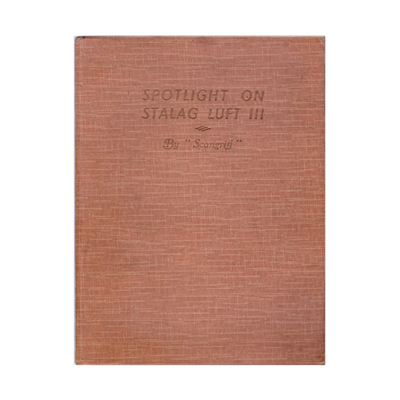 While genuine artifacts from Stalag Luft III seldom appear in salesrooms, with so little having survived the forced evacuation, a great way for people to connect both with the story and the era is through antiquarian books. Books that were actually published at the time it all happened, or shortly after. Below are some of the earliest works about the camp, and by flipping through their pages, often foxed and edges worn, there is no denying that you feel just that one step closer. Privately published, 1946 – Hardback. 33pp. Sketches and Watercolors. 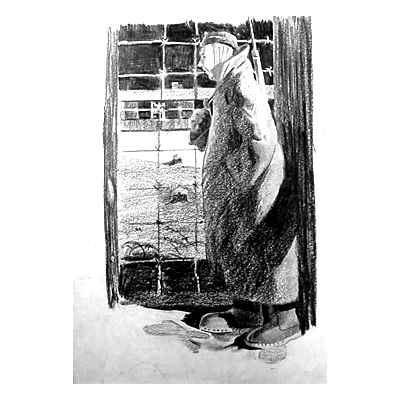 A graduate of the Pratt Institute in New York, Carl Holstrom created some of the most iconic POW art in Stalag Luft III. Whether through pencil or watercolors, he captured the essence of both the men and the environment with the flair of a master. 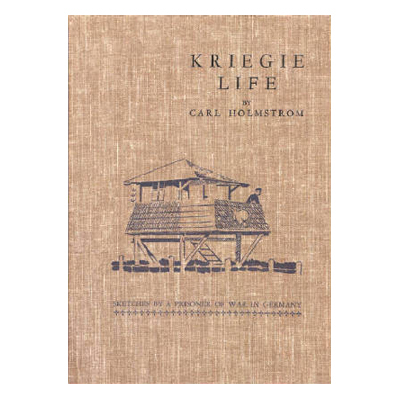 In his book Kriegie Life, he presents some of his finest works, taking the reader on a visual journey into life behind the wire. Not surprisingly, his artistic abilities caught the attention of the escape committee, and he was asked to join the forgers of Y Organization, producing paperwork, maps, and currency for what would become The Great Escape. 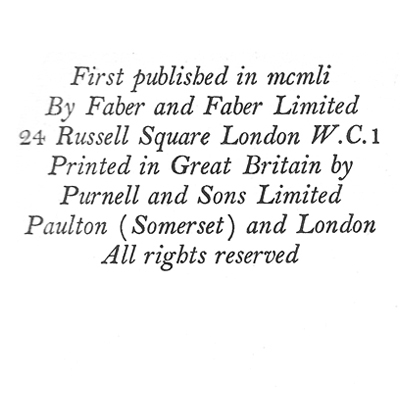 Privately published, 1946 – Hardback. 48pp. Sketches and Photographs. Published privately in 1946, it was the first book on Stalag Luft III and The Great Escape. This makes it perhaps the rarest and most collectible of all. Indeed, only a couple of copies are known to have passed through the salesrooms in recent years. It is also noteworthy as being the first publication to feature the artwork of Ley Kenyon, the most prominent of all the Kriegie school of artists. 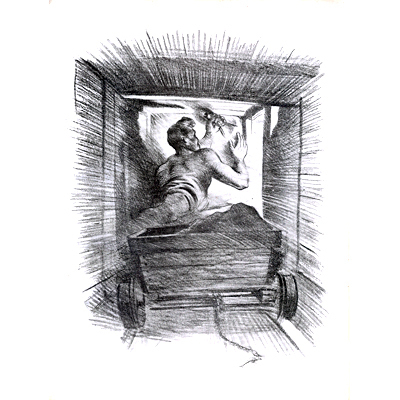 Reproduction prints of his Stalag Luft III sketches went on to become part of the prestigious Royal Collection in 1977. ‘Scangriff’ was the third POW newspaper in Stalag Luft III, along with The Kriegie Times and The Circuit. Its unusual name was conjured up by mixing the word scandal with the title of a German newspaper, Der Angriff. The paper was the brainchild of F/Lt Mark S. Winston whose Stirling bomber (BK714), was shot down over Rostock, Germany on April 20th, 1943. Among those involved in Scangriff were F/Lt Paul Brickhill and F/Lt Ley Kenyon. Immediately after the war, they set about creating a book to chronicle their time as POWs, and even more significantly, serve as a tribute to The Fifty. 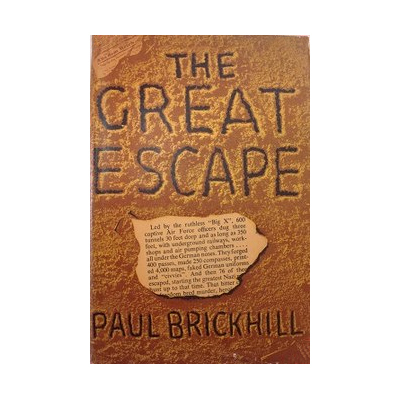 The last page of the book features a promotional piece for a then forthcoming book, Escape to Danger by Paul Brickhill. 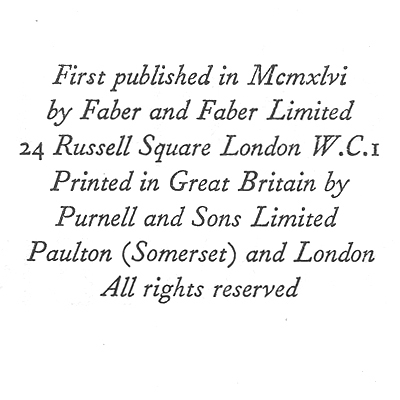 Faber & Faber, 1946 – Hardback. 341pp. Photos and illustrations. 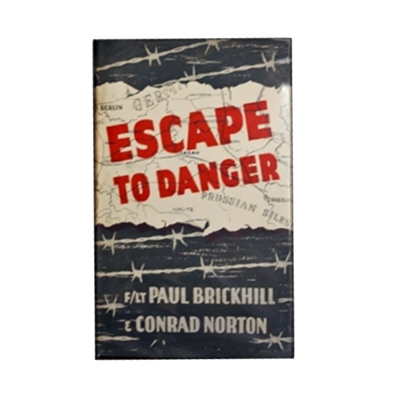 The first published work by Paul Brickhill, Escape to Danger is a compendium of POW life and escape stories from WWII. Events in Stalag Luft III occupy much of its contents, and it lays the groundwork for what in only a few short years would become The Great Escape, the abiding account of that historical event. The book was co-authored with fellow Australian Stalag Luft III veteran Conrad Norton. Faber & Faber, 1951 – Hardback. 263pp. Photos and illustrations. This was the book that defined The Great Escape legend and became the basis for the 1963 movie with Steve McQueen, James Garner, Charles Bronson et al. From its opening dedication to The Fifty and introduction by American Stalag Luft III POW George Harsh, through the highs and lows of digging the 3 tunnels, the escape itself and its bloody aftermath, the book had that classic formula that would inspire readers worldwide. The book also met with critical acclaim, not only for the epic nature of the story but the quality of its writing.